Earth's toiling ended, O glorious dawning, Beyond the sunset when day is done. O day of gladness, O day unending, Beyond the sunset eternal joy ! His glorious presence, His words of welcome, Will be my portion on that fair shore. 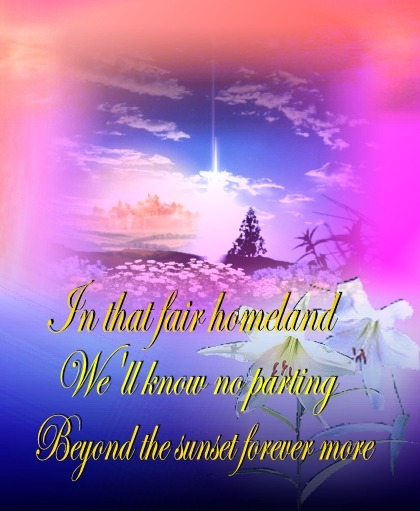 In that fair homeland we'll know no parting, Beyond the sunset forever more !